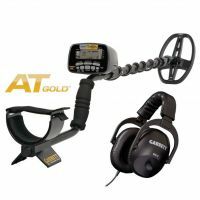 The AT Gold is a Motion All Metal detector, meaning that slight motion of the searchcoil is required to maintain detection, although static detection of targets can be achieved while in Pinpoint mode. 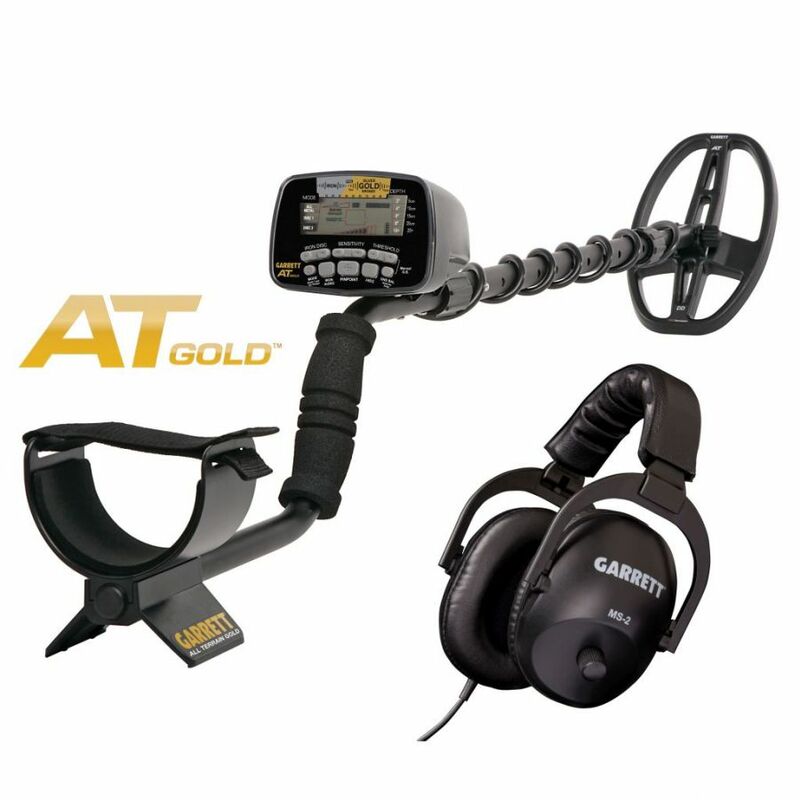 The AT Gold includes manual and automatic Ground Balance—plus an exclusive Ground Balance Window™ feature—to optimize the detector's performance in highly mineralized ground, where gold is most often found. 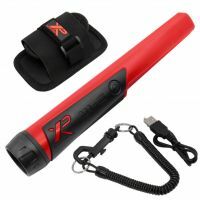 This detector is also waterproof to a maximum depth of 10 feet (3 meters) for searching in freshwater lakes and streams. 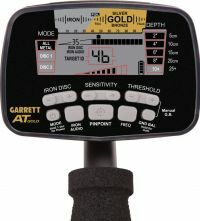 The AT Gold also features simple, one-handed operation for all controls—no dials or knobs that require a second hand to adjust. GRAPHIC TARGET ANALYZING - Simultaneously shows the target's conductivity and the detector's discrimination pattern. 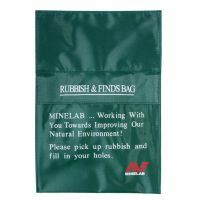 ALL TERRAIN - Designed for use in wet, humid and dusty environments. Weatherproof housing can be immersed in water to 10-foot (3m) depth. 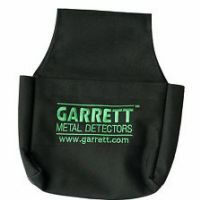 DIGITAL TARGET ID - Numeral scale from 0 to 99; indicates a target metal's conductivity for increased ability to distinguish targets from each other. 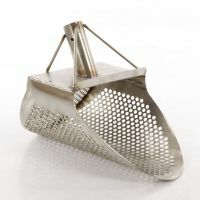 HIGH-RESOLUTIONI IRON DISCRIMINATION - Provides 40 points of iron resolution—controlled with touchpads and viewed as a digital number on the LCD—for the most precise ability to separate a good target from iron trash. ADJUSTABLE THRESHOLD - Allows the user to manually adjust the audio threshold(constant background sound) to better hear targets. 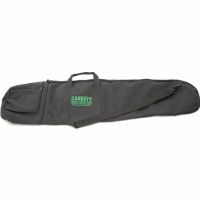 PRO MODE AUDIO - Proportional audio response and Tone Roll Audio features provide more target information. 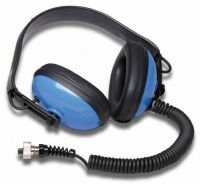 IRON AUDIO™ - Allows user to hear discriminated iron and to audibly identify problematic flat iron objects like bottle caps and washers. 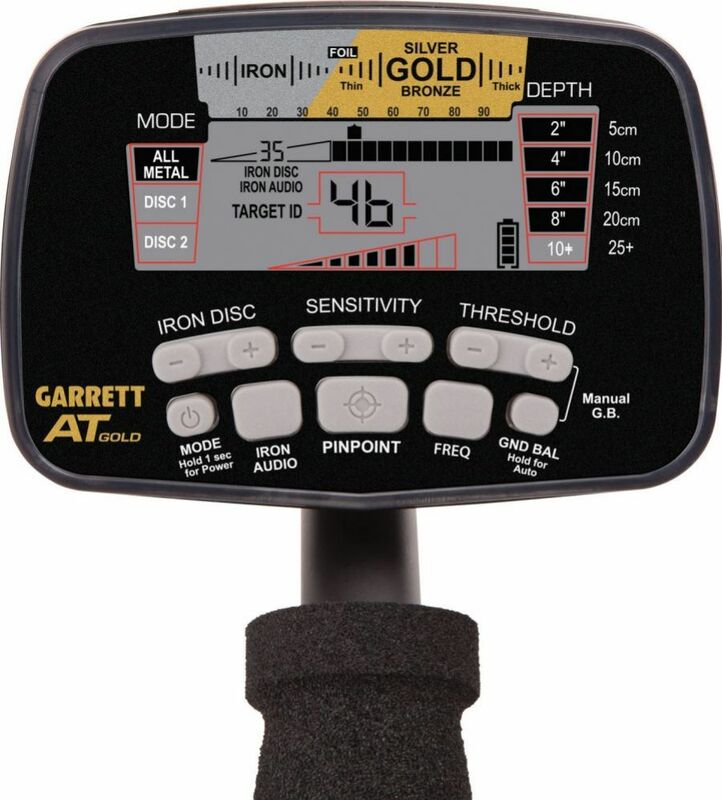 ALL-METAL IRON AUDIO™ - A Garrett exclusive feature that allows user to audibly identify iron objects even while operating in a True All Metal Mode. 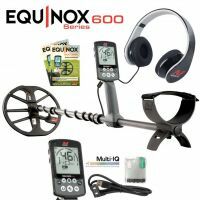 GROUND BALANCE (MANUAL) - Allows the user to manually adjust the detector's ground balance to reduce the detrimental effects of ground mineralization. GROUND BALANCE WINDOW™ - A Garrett exclusive feature that allows user to “spread” the ground balance setting to reduce the response to subtle ground variations. 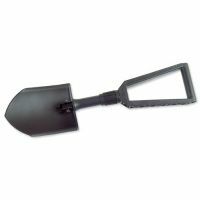 FAST TRACK™ GROUND BALANCE - Automatic feature that allows user to quickly ground balance the detector in mineralized soil conditions. 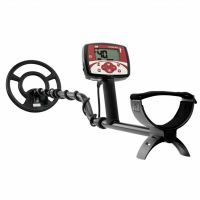 ONE-TOUCH TREASURE HUNTING - With the touch of a button, your metal detector is: powered on; automatically reset to factory (or your) settings; and ready to search! Depth Indicator: Continually shows depth of coin-size objects.